"She makes sure every "i" is dotted and every "t" is crossed. When the process of purchasing a home at times seemed daunting, Sharlene was the eternal optimist and reassured me that everything would work out. From market analysis, contract negotiations, and doing literally whatever it took to get both deals done, Sharlene was outstanding in terms of her ability to make it happen !! I trust Sharlene and highly recommend this agent and friend for your next real estate transaction." "Sharlene and Doug are very easy to work with. 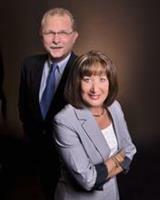 They respond to e-mails, and phone calls right away and have a vast knowledge about Tampa and the real estate market. They are the best of the best and we wouldn't buy from anyone else, or recommend anyone else to work with.They are just that good!" "We contacted Sharlene in July 2011 and asked about foreclosures in the Tampa area. After numerous visits were were not able to locate a home in the specific area we liked at the price points we wanted, so we stopped looking for a couple of months. Sharlene stayed in contact with us during this lull and kept us informed of any new homes going onto the market. Sharlene contacted us in October 2011 about a home located in the specific area of Tampa we preferred. Once we agreed it was a home we were interested in Sharlene immediately started the investigation of the property and set up appointments for a visit. It was not a easy deal to close, we encountered many problems and issues during the inspection and negotiating sessions. Sharlene always showed professionalism and tenacity in working through all issues. We own this home today due to the hard work and tenacity of Sharlene. Thanks Sharlene, we love the home." "My husband and I have had the pleasure of using Sharlene Woodis as our Realtor. Over the past 5 years she has sold our home in Valrico Fl. and at the same time she found us a beautiful home in Apollo Beach Fl. We never have had to worry about anything for either transaction. She is professional, informative, and is customer service oriented available immediately by phone or internet. Sharlene knows the Real Estate market and does a comparative analysis of the property and prices it to sell. Last year we decided to sell our condo we had for several years and of course we called Sharlene again. She sold the condo in 6 wks. We would highly recommend Sharlene." "Closing on my first house in Wesley Chapel, Florida was such a joy for my family and I. However I could not or would had not done it without Sharlene Woodis from Keller Williams Realty, who worked tirelessly to get us what we were looking for. We had a very limited time to look for houses, but despite other commitments Sharlene had to fulfill, she was able to show us over twenty houses. When we finally found the one that was convenient for us, unfortunately I had to leave the country, and was worried for not getting the information on time about my loan, or not being able to provide any document the bank would need from me. But I was pleased working with Sharlene thru emails and telephones calls, and I had no regrets doing so because she was updating me of the closing progress on a daily basis or every other day. What impressed me the most about her, was how she handled my case throughout the loan process. About a week before closing day, I called my loan processor to make sure that every document in my file was up to date and the closing date remained the same on how we all agreed to, but she told me they were having problems verifying my salary with my employer, and if they don't get that information, my loan could be denied. I emailed Sharlene immediately to notify her about the news I received from the bank. She was very upset as she thought everything was good with my file. Prior to leaving the country, the bank provided me with a commitment letter with several minor conditions to be satisfied, which I took care before I left, and Sharlene personally had a conversation with my mortgage consultant who told her there was no problem with my file and the loan looked good when the letter was issued to me. I was ready to give up the all loan process because my patience level wasn't there anymore, but She advised me not to because we were almost at the finish line and also the housing market was picking up and the home prices were going up. So she took that matter on her own hand, reaching out to anybody she could talk to. She called my job and talked to several people, called the bank and put some pressure to both my loan consultant and loan processor, she also talked to the bank big boss who she knows personally. Within 48 hours the bank came up with a solution to solve my salary problem. If she had not intervened and took care that matter, I don't know what would have happened to my loan because of the lack of communication and the poor treatment I received from the bank throughout the all loan process. I was told by a friend of mine who's very knowledgeable on the housing business that there were two types of real estate agents, those who work for the clients and those who work for their pockets. Sharlene Woodis is a true professional, very patient and does her job with passion. She will be the real estate agent I will recommend to anybody who wants to buy a house, because I assure you she will work for you until closing, she will take care of you with the same integrity and service she provided me, and She will not hesitate to go the extra mile to keep you in your home purchase."